To meet pressures of increased costs and resource usage, CPW prices were adjusted on Jan. 1. Be sure to get your prime adventure spot reserved. Choose from over 4,000 campsites & 58 cabins/yurts. Spring birding season has started: grab your binoculars and head out. CPW is looking for people who love the outdoors and are passionate about the future of Colorado. 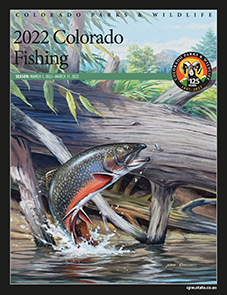 For the top news and information from Colorado Parks & Wildlife, sign up for the CPW eNews! Know the regulations for the waters you are fishing. Find out what's new. Read general rules applying to parks & outdoor recreation lands and waters.